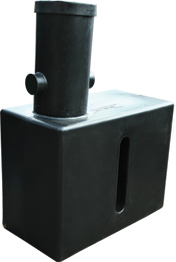 Slimline underground water tank, constructed from MDPE (Medium Density Polyethylene). Fitted with an 12" lid. Comes pre moulded with 4" outlet with is perfect for attaching a brass tap.